Free and fast Wi-Fi access is available pretty much anywhere, except one obvious place: on airplanes. In-flight wireless access has lagged behind its land-based counterparts since the dawn of the connected age, and while things are starting to improve, it doesn’t look like air passengers will get anything resembling terrestrial speeds while cruising at 30,000 feet, at least for a while. 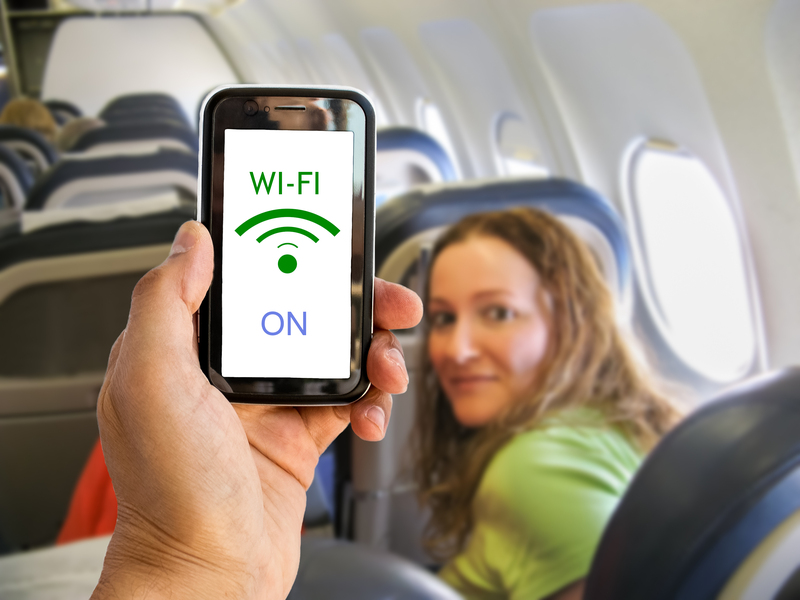 “The thing that (passengers) must realize is that in-flight Wi-Fi is still a very new product, and the expectation that you’ll get a good, strong signal like you do at home or office needs to be reined in,” one analyst explained. There is good news, however. JetBlue recently announced that 150 of its planes have been fitted with satellite-based Wi-Fi, and that the service will be offered for free, with sponsors. Virgin is also jumping on the satellite Wi-Fi bandwagon, teaming up with ViaSat to deliver speeds near or equal to that of land-based networks on 10 of its jets. While analysts expect in-flight connectivity to improve, they don’t expect it to be offered for free forever, as the costs of equipping vast fleets of aircraft is high, and only getting higher.